A new state law that takes effect today makes it mandatory that all convicted drunk drivers must have a Ignition Interlock installed in their cars. So, just like me I am sure many of you are wondering whats this Ignition Interlock thingy ?? Well, its a simple way to start your car. All you have to do is blow into this device. This device works something like a breathalyzer. So if your drunk your car will just not start. Cool ah? though this seems like a wise system can’t it be tricked easily ? I will just pay 5-10 bucks and ask someone around who is not drunk to blow into that thing. The provision is part of “Leandra’s Law,” named for 11-year-old Leandra Rosado, who died in a drunk driving crash last year. Leandra’s Law makes it a felony to drive drunk with a child under age 16 in the car, and the interlock rule applies to everyone convicted of driving while intoxicated, including first-time offenders. The interlocks will cost drivers between $75 and $100, plus monthly fees. 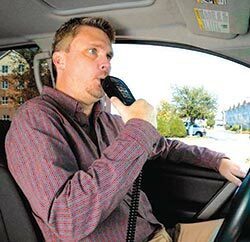 According to Mothers Against Drunk Driving, figures show states with ignition interlock laws have seen a 35-percent drop in fatal DWI crashes. Many of you may now notice drunk drivers looking around for someone to blow into that device so they can start their car. Man! Can’t wait for them, these drunk people are going to come with all kind of excuses to just make you blow into the device.